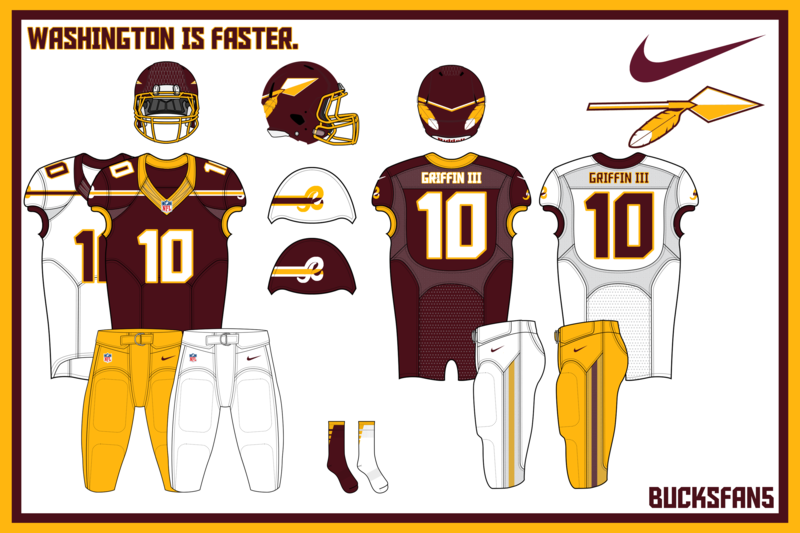 In this concept series I hope to keep the integrity of the NFL teams but also bring them to modern times. This means chrome/reflective materials. 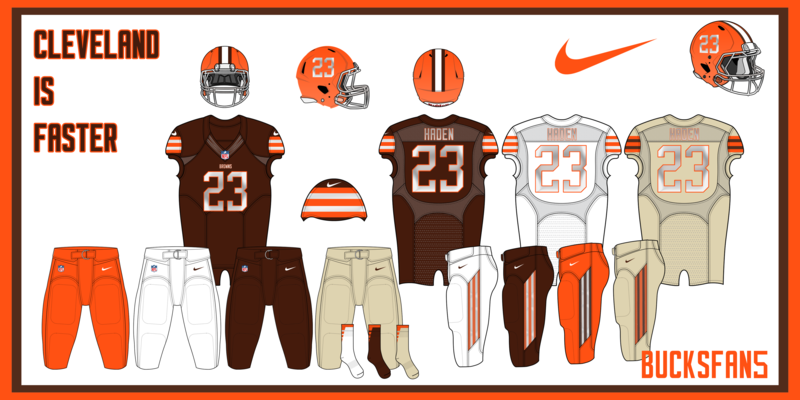 As a Browns fan I am expecting a lot from Nike come 2015. I expect them to keep the Browns look classic with a modern twist. With this design the face mask is chrome, and the helmet itself is a matte orange gradient. 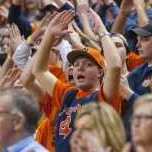 The jersey's numbers are not sown on. They are more like The Pro Bowl numbers (below)l. They have a brushed chrome look, much like Ohio States rivalry jerseys. And to give The Browns the change they need I added a number decal for the helmet. It is a brushed chrome just like the numbers on the jersey. The stripes on the shoulder sleeves are just like the numbers. They are not sown on they are more like flywire. The Pants are interchangeable with the jerseys. The browns also need a new logo which I also provided. It is the helmet in the top right corner. I will accept any CnC you have for me. Hopefully i can make more teams as well. 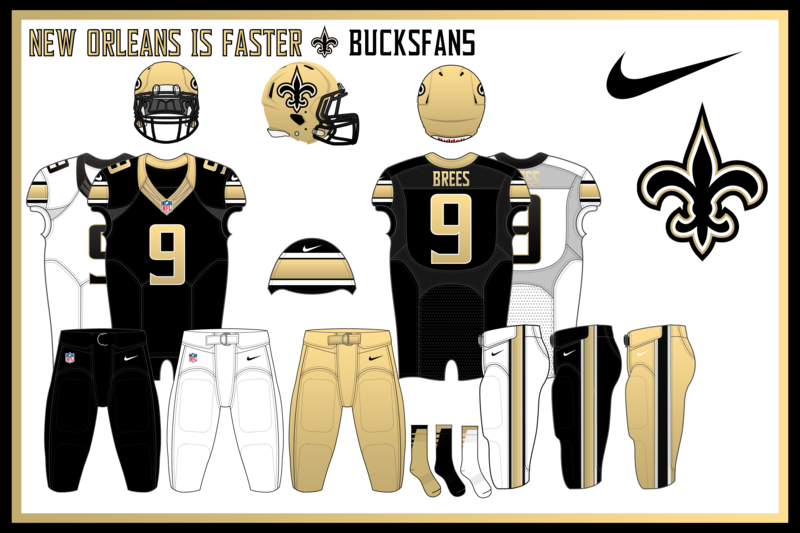 The template I used is the .psd version (I converted) of the Nike Hypercool template that MattWillcox made. I think it has potential but I'm not sure that I like it for Cleveland. 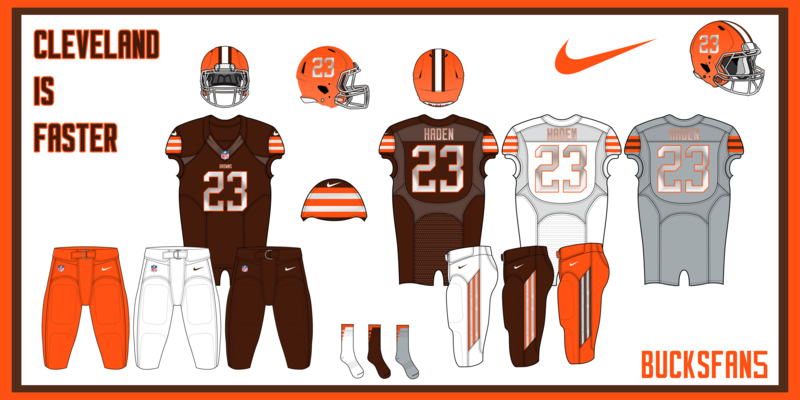 I think the look is a bit too modern for the Browns, but the brushed chrome numbers might look good with a team like Seattle or Atlanta. By the way, thanks for converting and sharing that template. 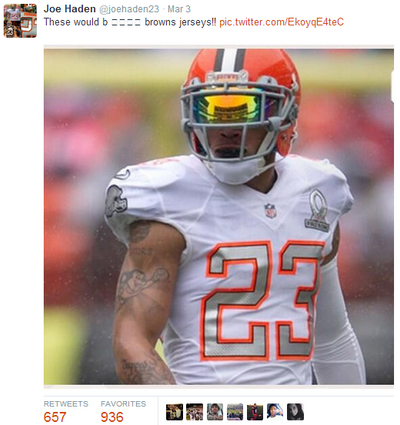 I'm actually using it for my own Cleveland Browns concept as well, haha! Can you elaborate more on the grey jersey? I like the pant stripes and the number font. Thanks for the feedback. I decided to change the grey to a tan-ish color. Now its time for the Washington Redskins. I personally think that the redskins will start using their primary logo less and less. i could see them moving over tho their Arrow logo and R Script. 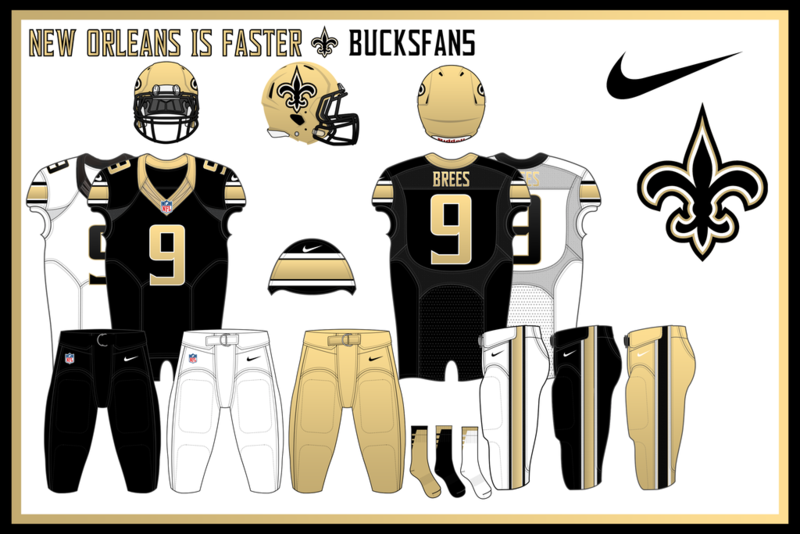 For the helmet stripe, I made a feather pattern.The jerseys and pants could be interchangeable along with the socks. 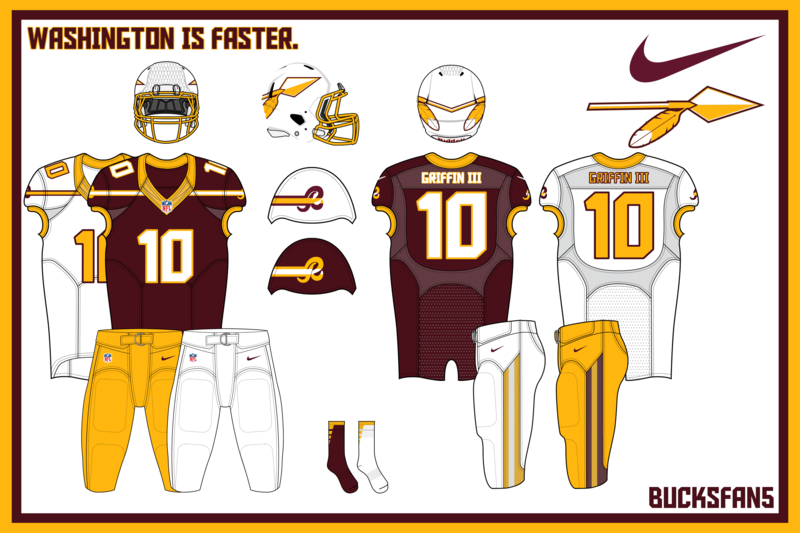 Not sure about the yellow numbers on the white jersey, and I'd like to see the helmet in the marron as opposed to white. Other than that, I like it. 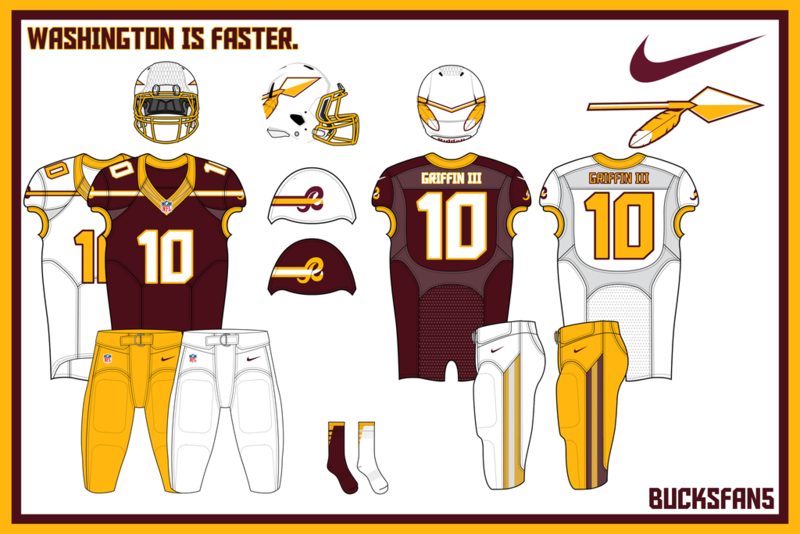 I changed the numbers from yellow to maroon along with a few other fixes. I think this concept is done now. Thanks for the CnC. Really liking Washington. Love using the arrow motif. Very unique! That final product of Washington is way, way better. Great job using comments and criticism to your benefit. First .. thanks a ton for the template! Looks awesome. Second ... both sets look great. Really like your updates on both. 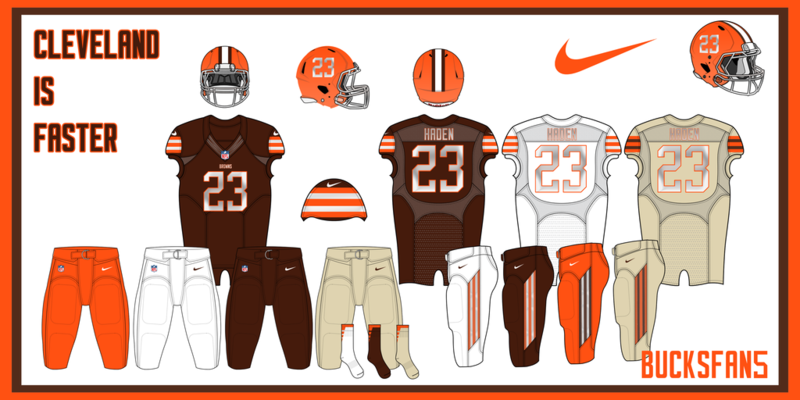 The tan color sets off the orange and brown so well for Cleveland. And I love the retro-ish look of the Skins. Next is the New Orleans Saints. 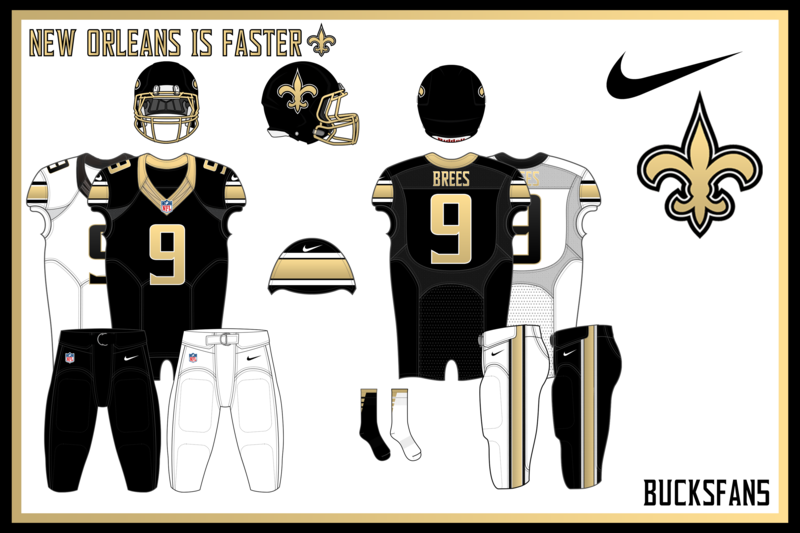 I modernized their look by adding a matte black helmet and matte gold chrome face mask. The numbers are the same way and so are the stripes and collar. Thanks for the feedback on the last concept. Keep it coming . A gold helmet instead of the matte black would look a lot of better. Luckily I made a set with a gold helmet. Thanks for your suggestion, i went ahead and added gold pants as well.